A study of the religious system of Mithraism, one of the 'mystery cults' popular in the Roman Empire contemporary with early Christianity. 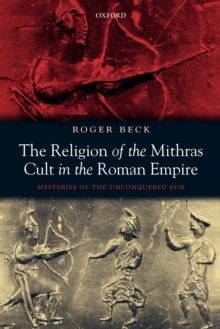 Roger Beck describes Mithraism from the point of view of the initiate engaging with the religion and its rich symbolic system in thought, word, ritual action, and cult life. He employs the methods of anthropology of religion and the new cognitive science of religion to explore in detail the semiotics of the Mysteries' astralsymbolism, which has been the principal subject of his many previous publications on the cult.